Warranty: 5-year/60k mile drivetrain. 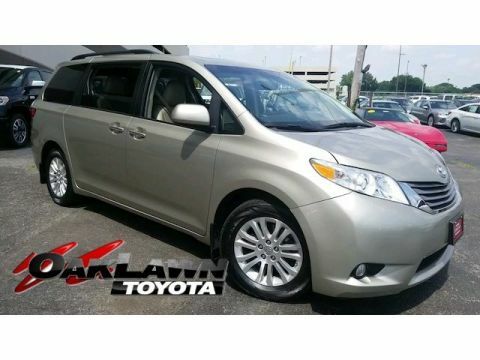 Includes ToyotaCare- No-cost maintenance program covers oil changes and scheduled routine maintenance for 2 years or 25k miles, whichever comes first. 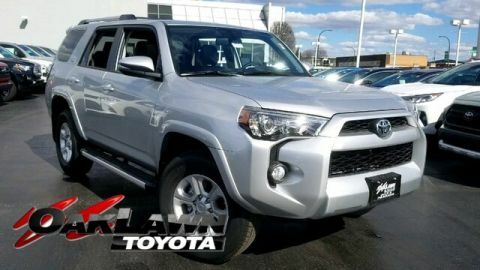 TRIM LEVEL This 4Runner Limited model is an upscale adventurer with front and rear parking assist sonar, diagonal linked relative absorber system, dual zone automatic climate control, perforated leather heated power adjustable seats with driver's memory seat, 20' alloy wheels, Entune Premium JBL Audio with Navigation and Apps, USB/Aux/iPod and Bluetooth Streaming Audio capability, steering wheel audio controls, backup camera, Smart Key System with Push Button Start! KEY FEATURES 8 Standard Airbags! CD player, Child Safety Locks. 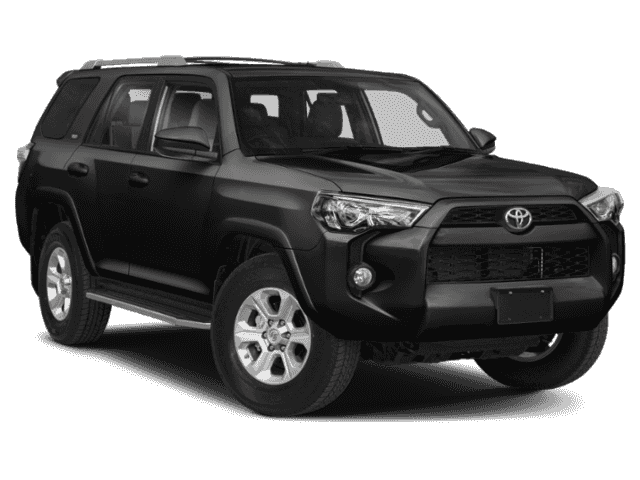 Toyota Star Safety System includes 4 Wheel Anti-Lock Disc Brakes, Vehicle Stability Control, Traction Control, Electronic Brakeforce Distribution, Brake Assist. 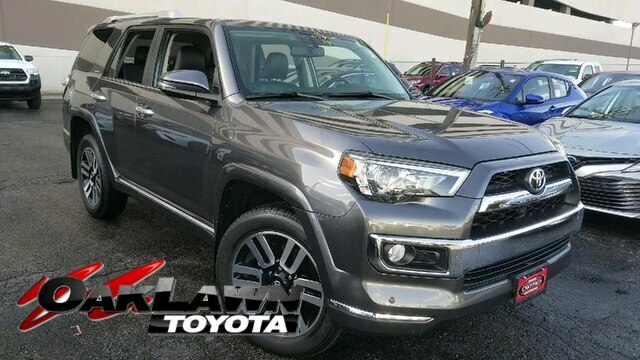 OPTIONS & PACKAGES 2Q All Weather Floor Mats FE 50 States Emissions - (No cost) - $0 QC 30th Anniversary Discount TS Third Row Seat Leather OAK LAWN TOYOTA Ronnie Colosimo's Oak Lawn Toyota is A Dealer You Can Count On! Our attentive sales staff is here to listen to you to address all your wants, needs, and fit them into a manageable budget for you. Find out why customers have loved doing business with Ronnie Colosimo for over 44 years! Come test drive the Yaris today! Disclaimer: Fuel economy calculations based on original manufacturer data for trim engine configuration. Please confirm the accuracy of the included equipment by calling us prior to purchase.